Status : Failure -Test failed: The server time zone value 'CEST' is unrecognized or represents more than one time zone. 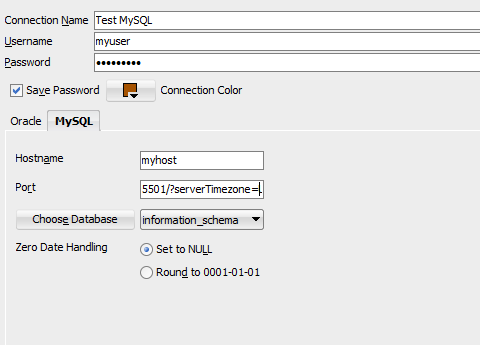 You must configure either the server or JDBC driver (via the serverTimezone configuration property) to use a more specifc time zone value if you want to utilize time zone support. However, this trick works if you want to add any property to the JDBC URL string when connecting with Oracle SQL Developer, which provides no other way to add properties.